I haven't sold anything on Ebay in quite a while, but figured I could let this gem go to another home, as I have two other copies. The box for this one is in surprisingly good condition, and the back of it was never even folded. I can't actually recall ever seeing another copy in such relatively good shape. If anyone here wins it let me know. Thats very nice and a tough pick up for a complete copy. Id make a run at it if I didnt already have a copy. Wow! Good luck with the auction. Yeah, it's been a while since a nice copy cane up for sale. 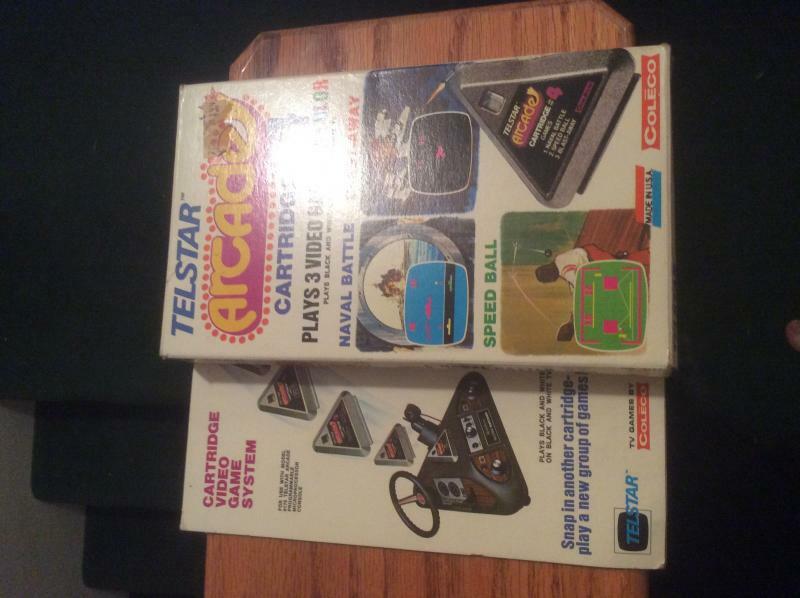 Have you ever seen any other Telstar Arcade boxes that didn't have the flap folded? Is the back flap folded? Nice copy, btw- congrats on owning that! No it’s in pretty nice shape. It's the US version, right? There are bilingual English/French boxes that I've seen for the system and the Number 2 and 3 Cartridges. It’s US. Not bilingual. I’ve got boxed 2 & 3 as well but I’d have to check the back of those.